Chicago – Eat. Rest. Repeat. This will be my first official food post. In honor of this, I’ve chosen one of my favorite cities, Chicago! I want to acknowledge that I prefer to tell my stories in visual form, IE: photos. I will try to be as descriptive as possible, but sight is one of the first senses activated when setting forth an opinion on culinary art. Disclosure: As this is a “catch up” post, I will just briefly discuss my experiences. 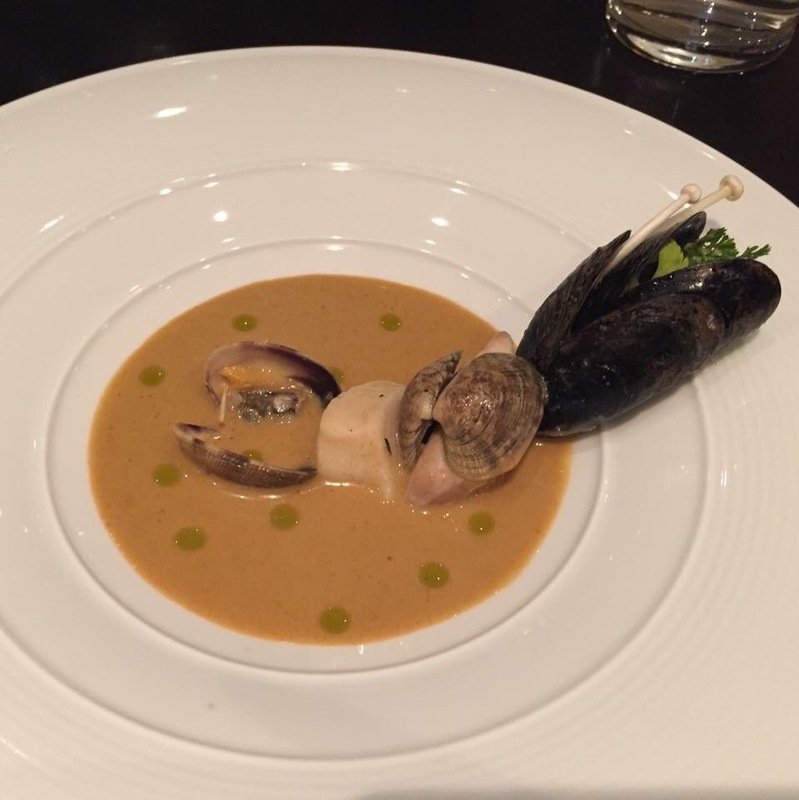 While I progress in my blog, I will be updating in real time, so I can give particulars on each specific dish in addition to my overall experience. 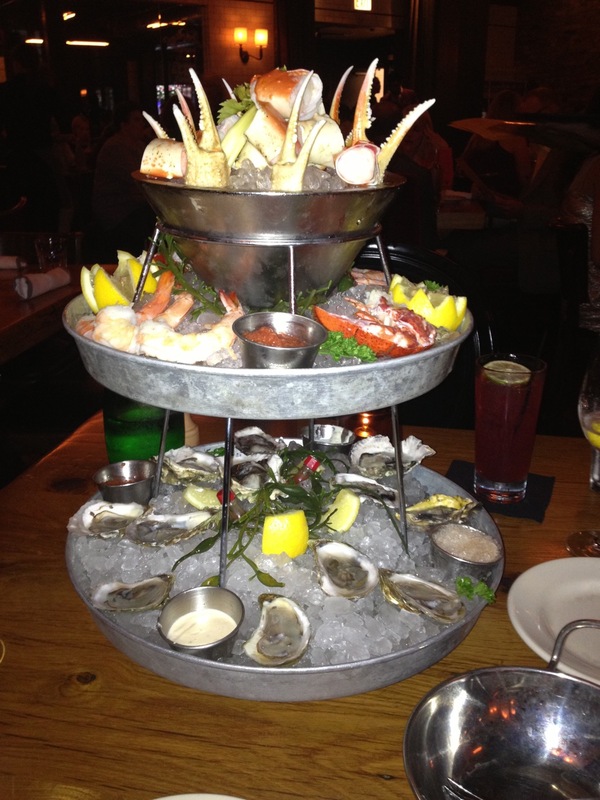 The seafood tower shown below is an indulgence for any seafood lover! Along with two other entrees we had, and possibly a dessert (I don’t quite remember), I’m disappointed to say that this place is completely overrated. Yes, the seafood tower was magnificently stacked with king crab claws, lobster tails, giant shrimp cocktail, and oysters….but to be honest, it was probably the only noteworthy item on the menu. The rest of the food was mediocre at best. The price of this tower was well worth it, and if you aren’t planning on eating much of anything else, I’d say give it a go! Personally though, I’ve never had a hankering to go back. 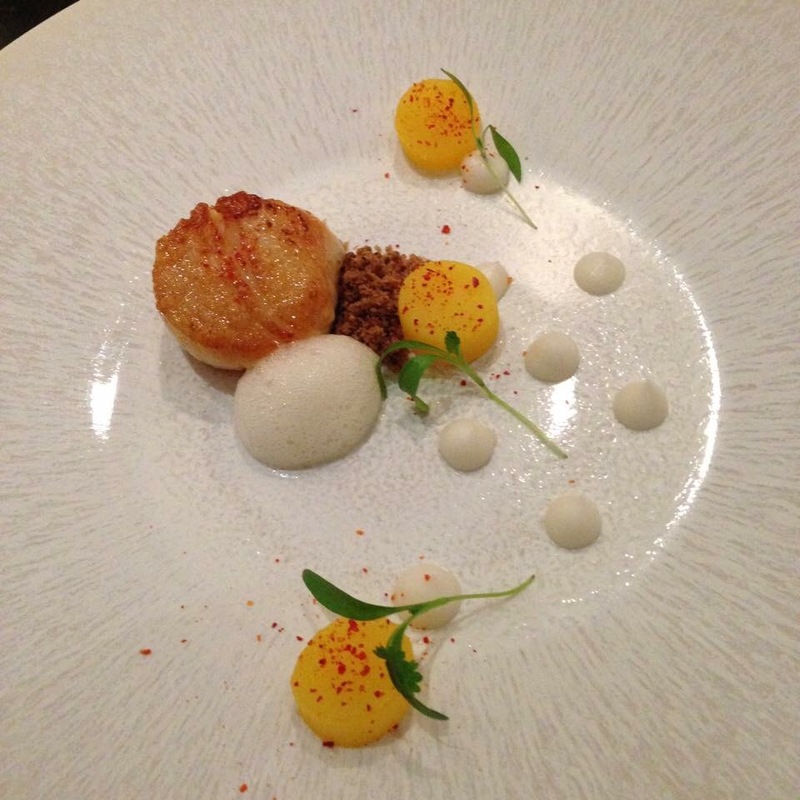 With such an incredible appetizer, you would think the remainder of the menu would be just as indulgent…..it’s not. One word: wow. 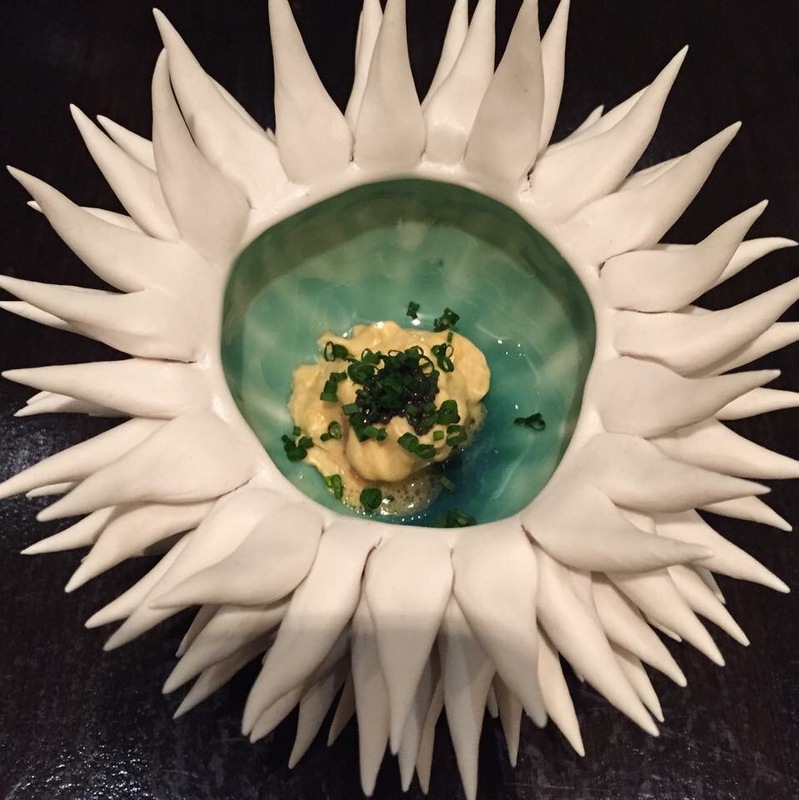 My husband and I have made it a mission to visit as many Michelin star restaurants as we can….and this is one that has blown us away. 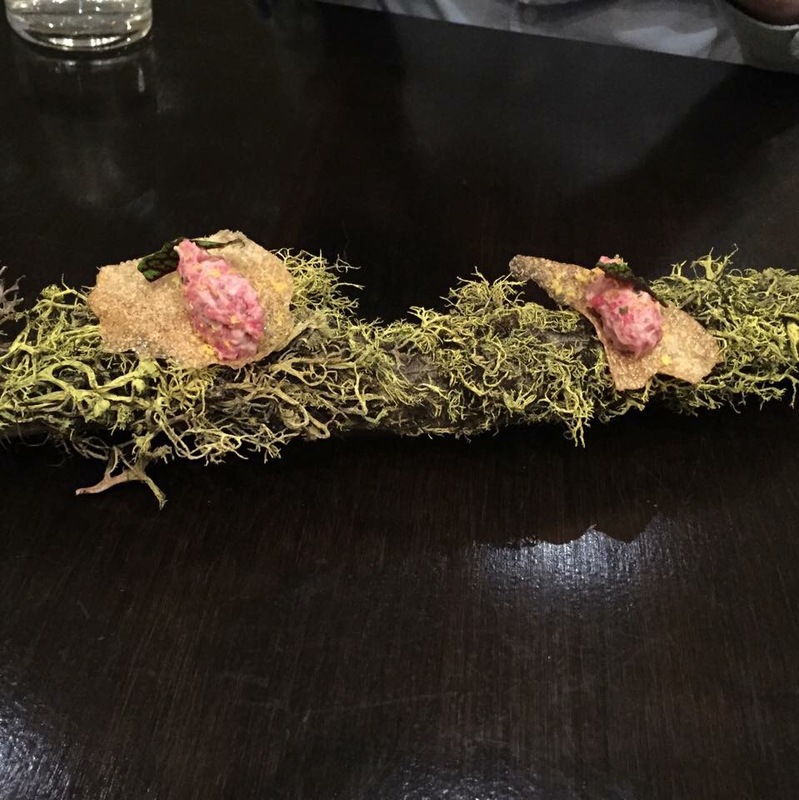 We had their tasting menu a few months ago…everything was very unique and VERY well executed. The variety of ingredients and presentation was phenomenal. My ONLY negative feedback is of the service. 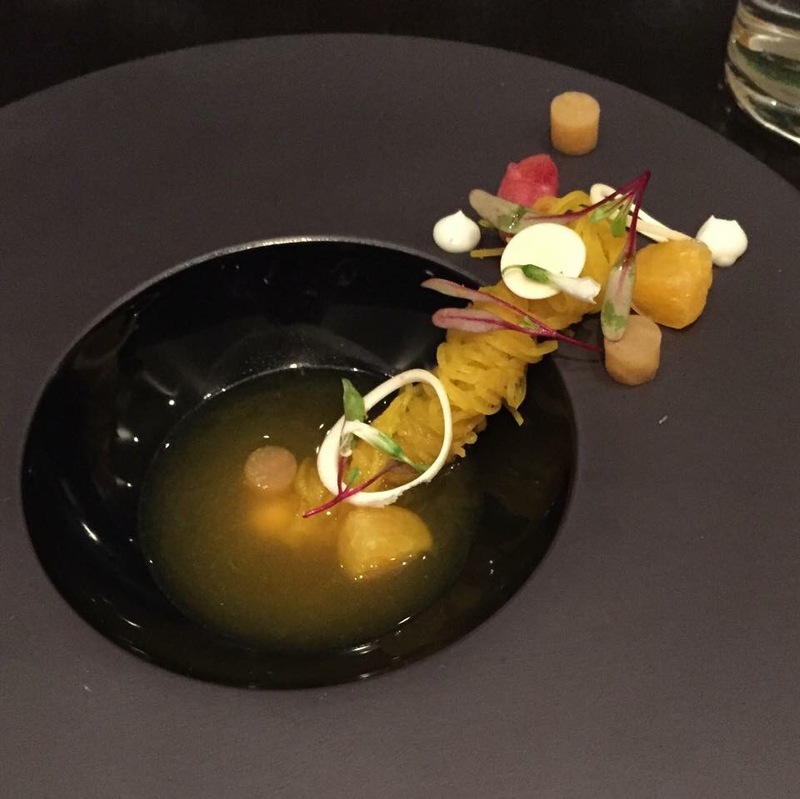 The tasting menu does not give a lot of detail into what each dish is, and as the wait staff brought out each dish, their descriptions would be inconsistent. An example of that being, waitress A may bring out one dish and briefly describe what the next dish will entail, but when waiter B comes out with the said dish, his description would not match that of waitress A. Overall, my experience was spectacular. Service for 12-13 dishes lasted about 3+ hours. 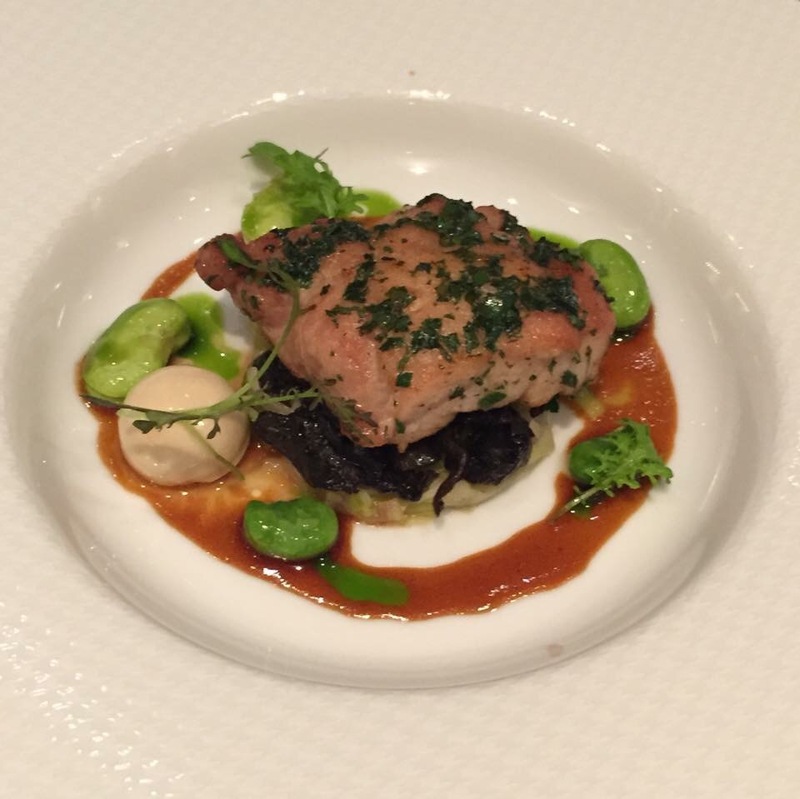 It is on the pricier side, but for the excellence in cuisine you receive, I say it is worth the experience. 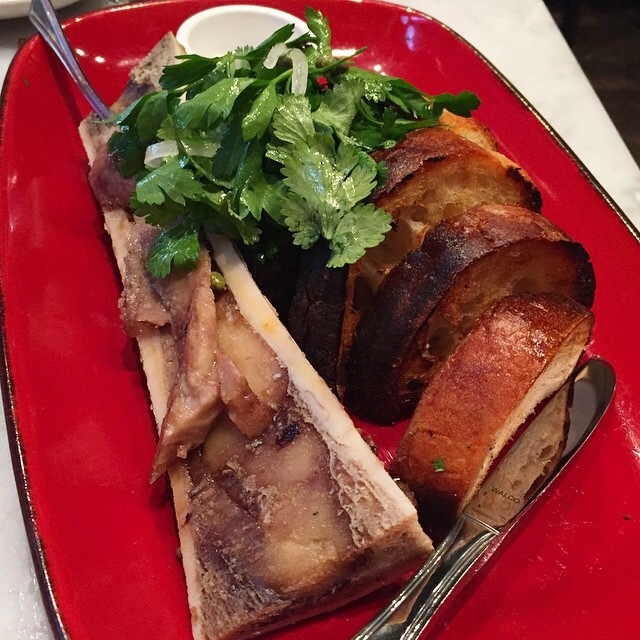 Located right downtown, this is the PERFECT place for anyone that loves a good pork dish! 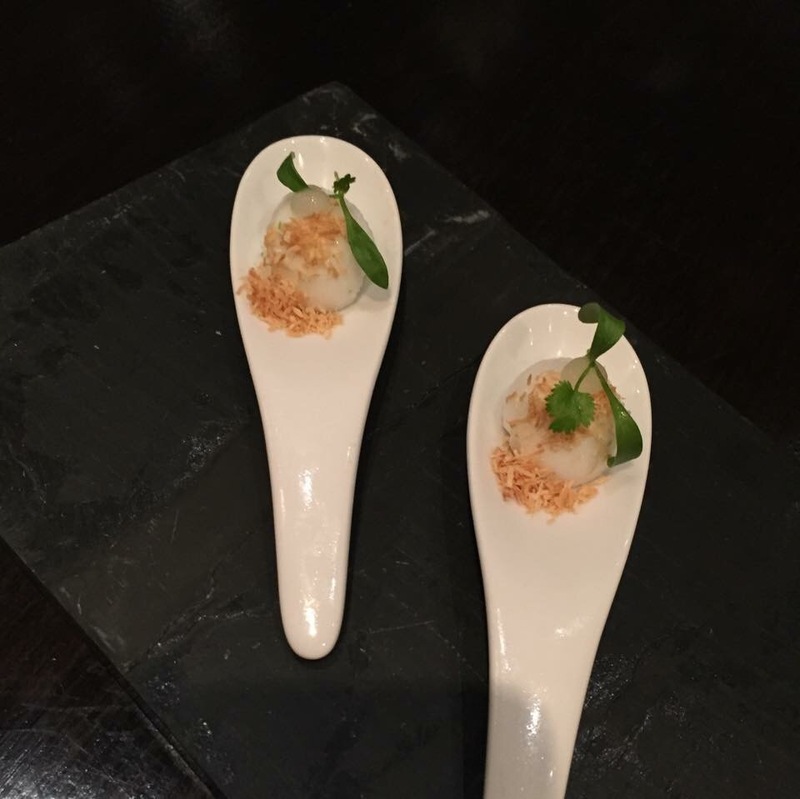 They have a special dish that highlights each edible body part…. The first picture posted below is crispy pig ears….the cartilage was quite chewy, but the crispiness of the outside is reminiscent of crispy deep fried chicken skin . 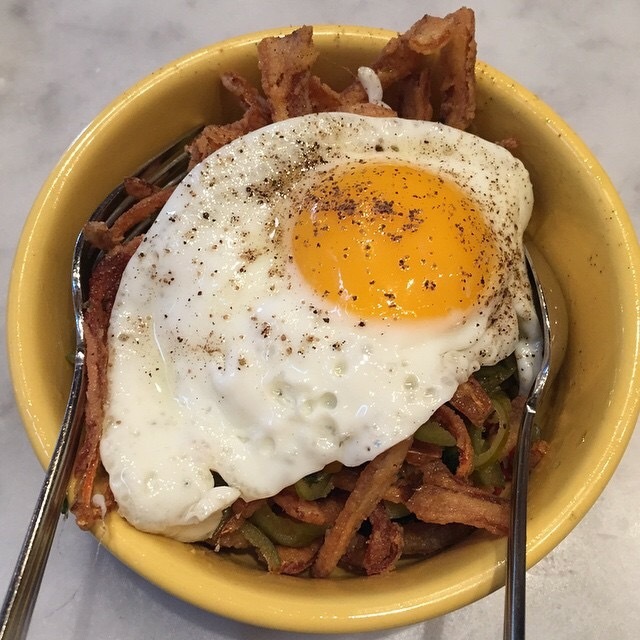 The crunch of these fried pig ears mixed with pickled jalapenos and a runny egg ? Decadent. Bone marrow smear: basic. Not very impressive, rather underwhelming. 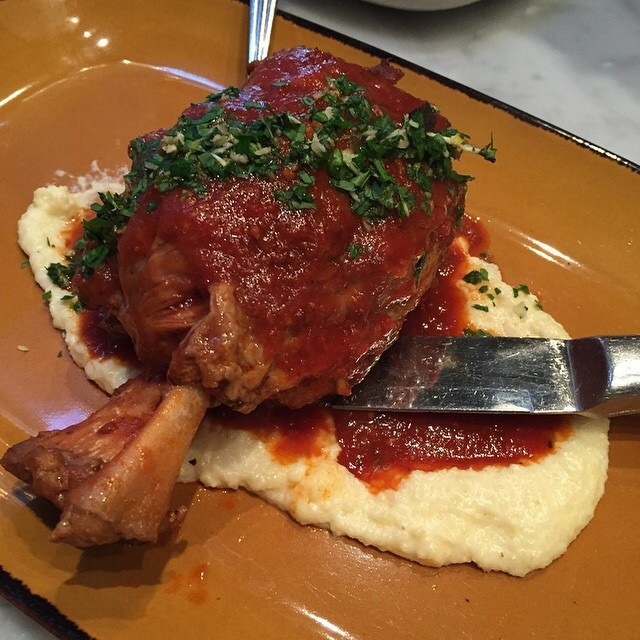 Pictured above is Pork Osso Buco, a classic Mediterranean dish with delicious creamy polenta. This was not one of my favorites….the pork was tender, but it was too generic. If you’re looking for something more out of the ordinary, I probably wouldn’t recognize this as such. However, if you are looking for a familiar taste, this pork shank smothered with “gravy” can definitely fill the void of classic Italian comfort food. 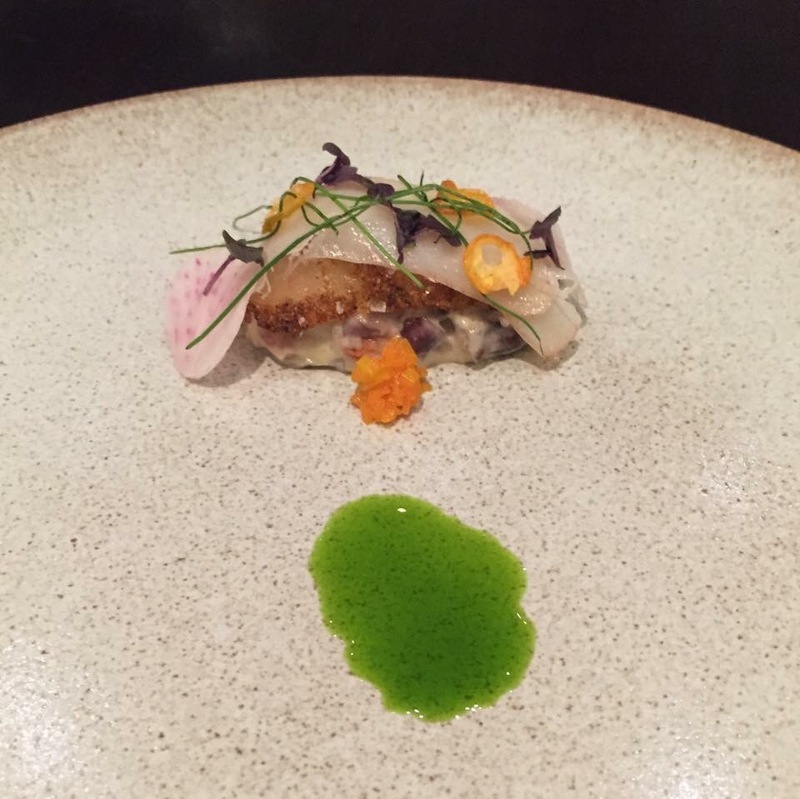 Saving the best for last….this was actually the first dish we received at lunch while dining at The Purple Pig. 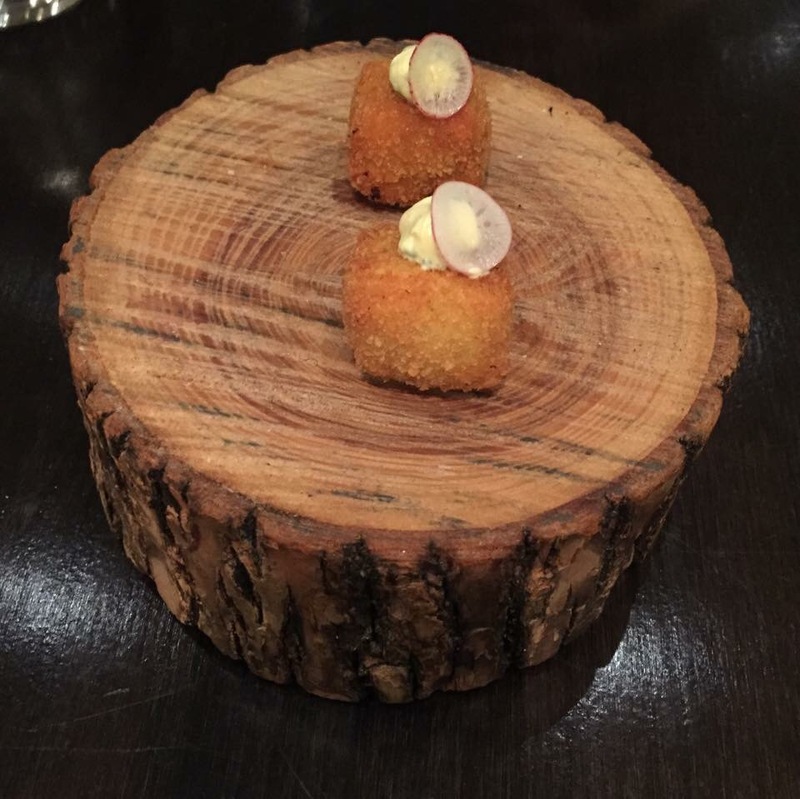 It was the most unique dish of all the ones we ordered, and the tastiest. 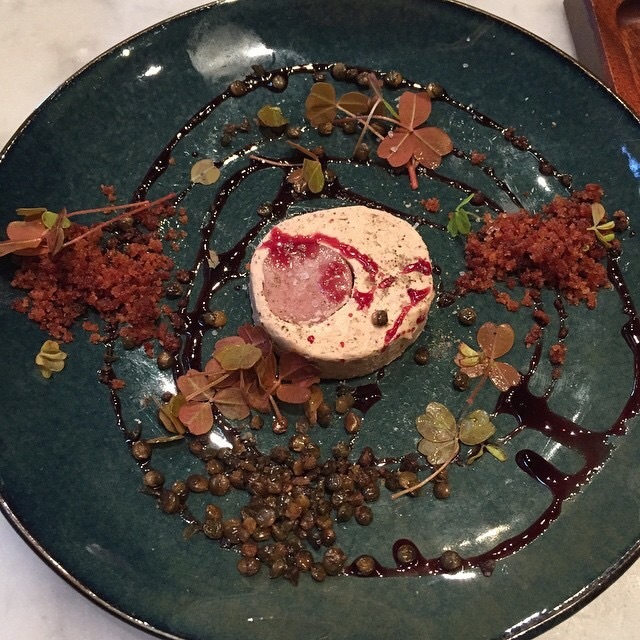 What is pictured above (I know it’s hard to tell), is pork tenderloin wrapped in foie gras pate, bacon, and crispy lentils. 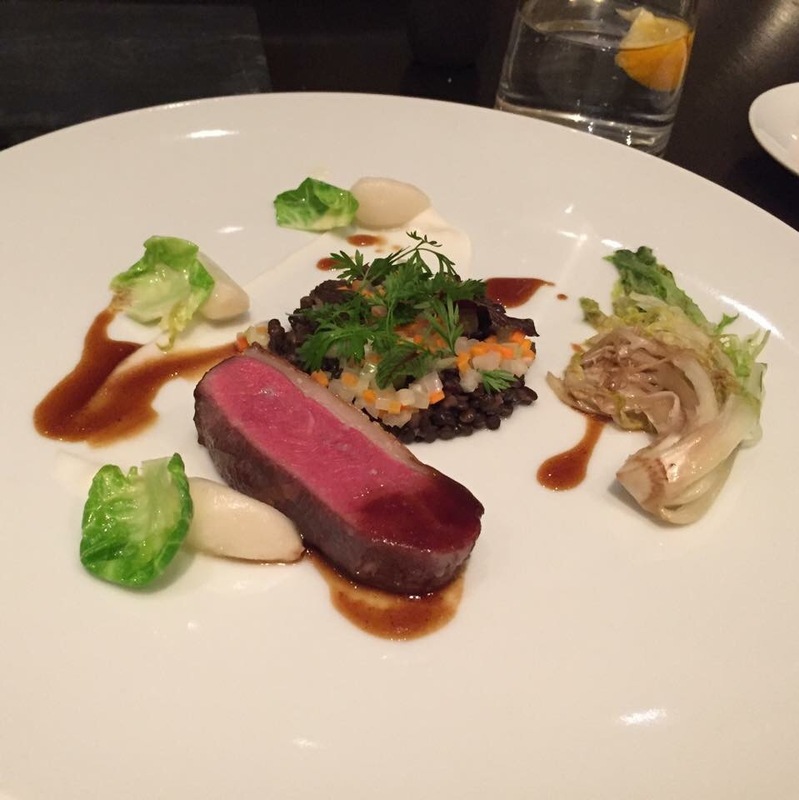 The lentils were a bit unnecessary but the foie, bacon and tenderloin worked harmoniously together to create a rich and lavish flavor explosion. OVERALL, if I were to give this a letter grade as if it had just performed a math test, I would probably give it a B. The collection of dishes is impressive, and the idea of each dish is very thoughtful, but the execution needs a bit of work. 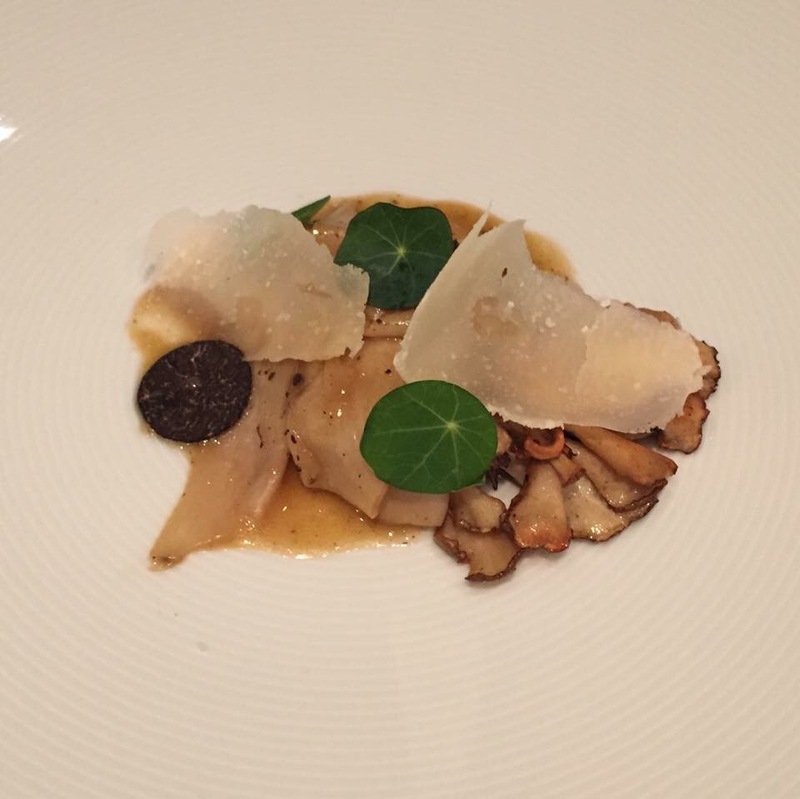 For as innovative as these dishes seem on paper, some were…blah. Amazing atmosphere; the inside of this restaurant was awesome! I would say that this is a great place to grab drinks…. 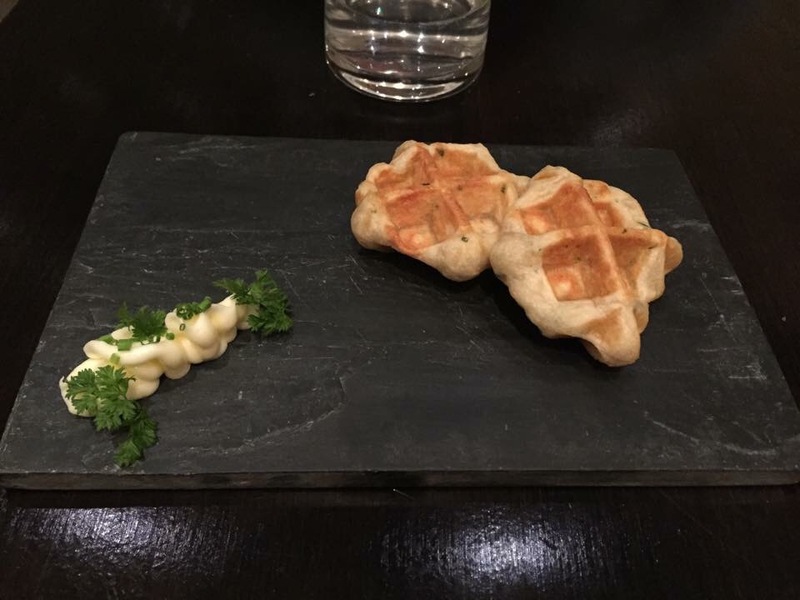 The menu is definitely unique, but again, execution was an issue. 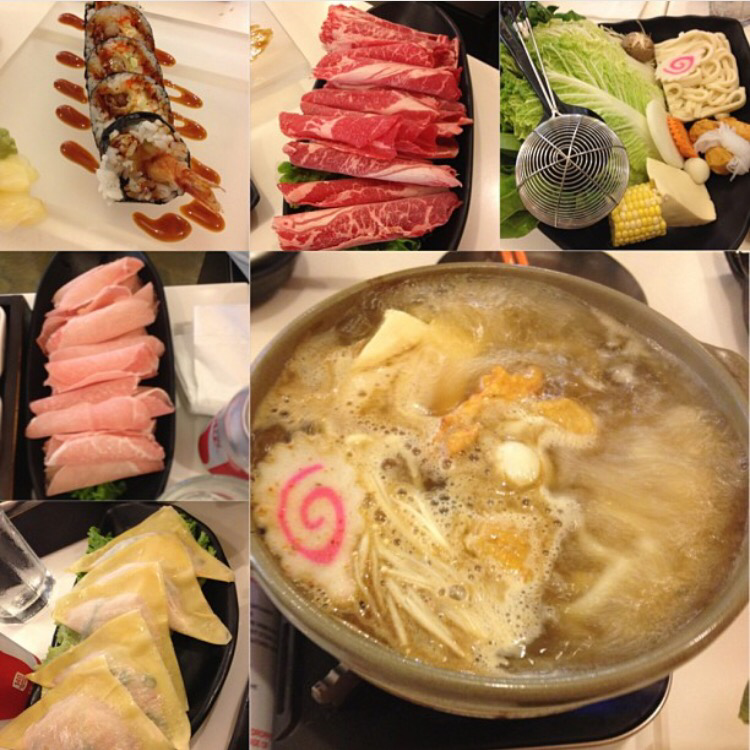 I only took 2 photos from this place, although I think we had 5 or 6 dishes…. The two I selected to keep photos of were of the best and worst dishes I had that night. …..That is, until this came out. Behold: Kimchi bolognese with pork belly. This dish was absolute perfection. I’m not the biggest fan of kimchi, but something about the combination of everything in this dish melted my heart. I dream about this dish. I crave it. Words cannot describe how much I appreciated the thoughtfulness of this dish. 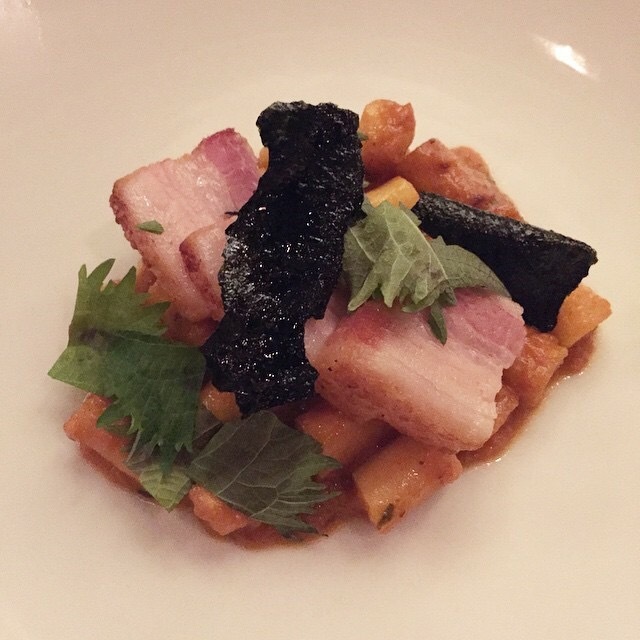 I might be biased because pasta and pork belly are 2 of my all time favorite things, but for them to incorporate everything from a burst of Asian flavor to the subtlety of the crispy nori on top, this is something that I could probably eat everyday. 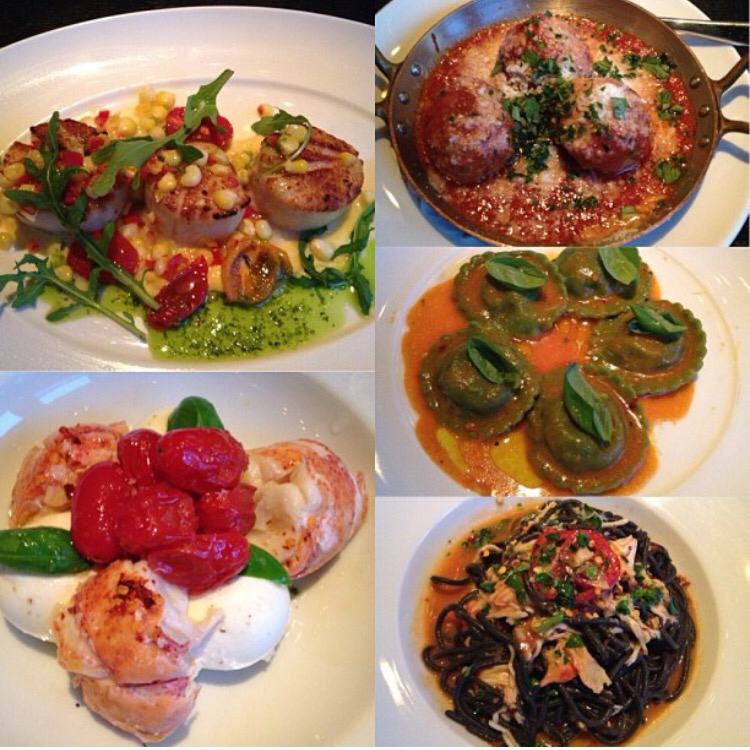 I had to try this place after all the hype it received…plus, I love Giuliana and Bill Rancic! 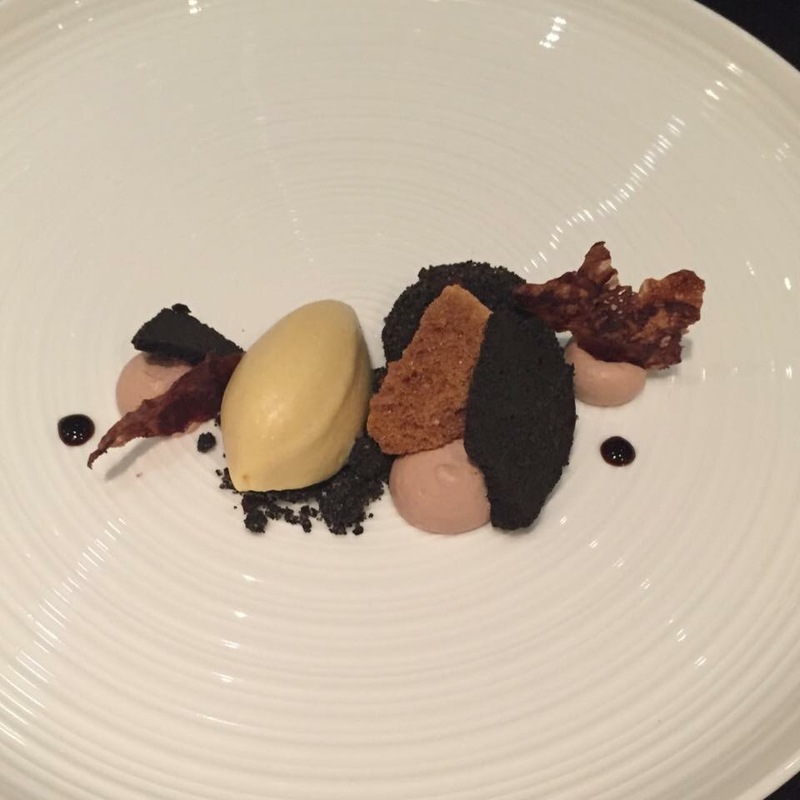 Without going into every detail, I would say I was very impressed with my meal. Execution was on point, flavors were well developed, and each dish, though rustic, could also be seen as new and innovative. Loved this place…but haven’t gone back. Why? Because this food gave me an upset stomach IMMEDIATELY. I’m not sure if the veggies just weren’t cleaned thoroughly or what, but if I can eat street food in Asia and not get sick, something is wrong when I get sick from an upscale restaurant. Okay…enough with the expensive places. Lets get to the local eateries that are affordable and delectable. Some of you may be familiar with the famous Joy Yee restaurants around Chicago and China Town, but this Hot Pot location takes the cake. You get SOOO MUCH FOOD for such a reasonable price! Without a doubt, you will always leave full and satisfied. They have a wide variety of meats and veggies you can choose to throw in your pot of boiling broth, and sauces you can mix to basically create your OWN sauce! Yum. And by “yum”, I mean…”mmmmmmmmmmmmmmmmmm”. Think of Korean meets Mexican meets fast food meets Asian fusion. Strange combination, right? So strange that it works. For those of you who do not know what Poutine is, it is a Canadian side dish consisting of French fries and cheese curds topped with gravy. I am in constant search of the perfect poutine…..I have found my favorite classic poutine, but we will leave that for a different post. 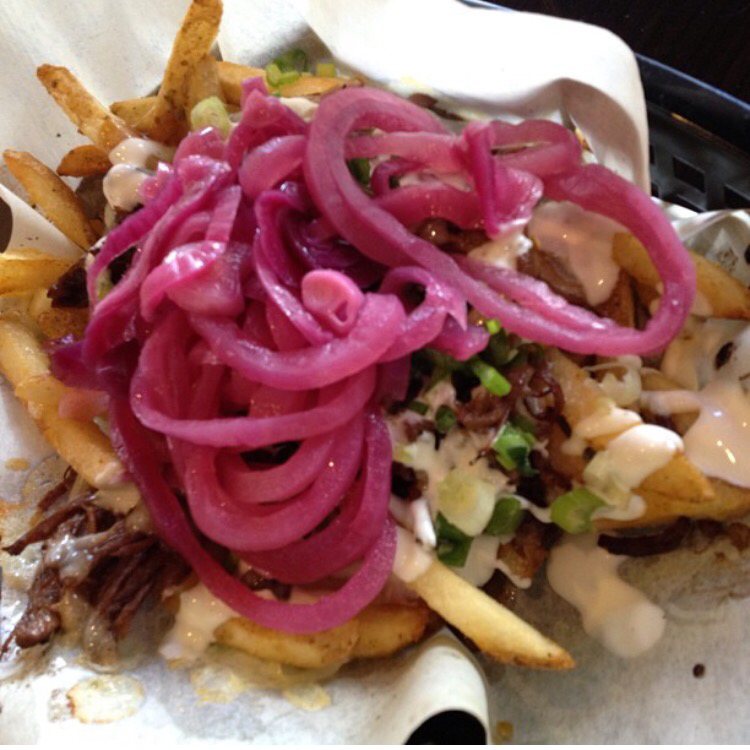 This is a twist on the Canadian classic, with shreds of marinated beef, scallions, and pickled onions. If you’re looking for something fun and different to eat, I would highly recommend Del Seoul! Lastly…..something so simple and easy, you can never go wrong. Before my husband and I got married (which was literally 2 months ago), we had a long distance relationship. He lived in Chicago for a few years when we first were dating….which was amazing because it allowed me the opportunity to explore all these foodie spots! This place was a little café not too far from his previous residence in Lakeview, which serves up some basic Vietnamese staples. Though I am not Vietnamese, their wonton soup tasted like home and made me homesick. It’s like how people refer to their grandmother’s chicken noodle soup….well, neither of my grandmothers have ever cooked for me…but I imagine that this taste, the taste of familiarity and love, is what that feeling is. Their Banh Mi sandwiches? FANTASTIC. Probably the BEST I’ve ever had. Legitimately the best headcheese I’ve ever eaten, and their pickled veggies were so fresh and crunchy that I have STILL not found a worthy banh mi contender to stack up to this holy grail of a sandwich. STAY TUNED FOR MY NEXT “CATCH UP” POST….NEW YORK! 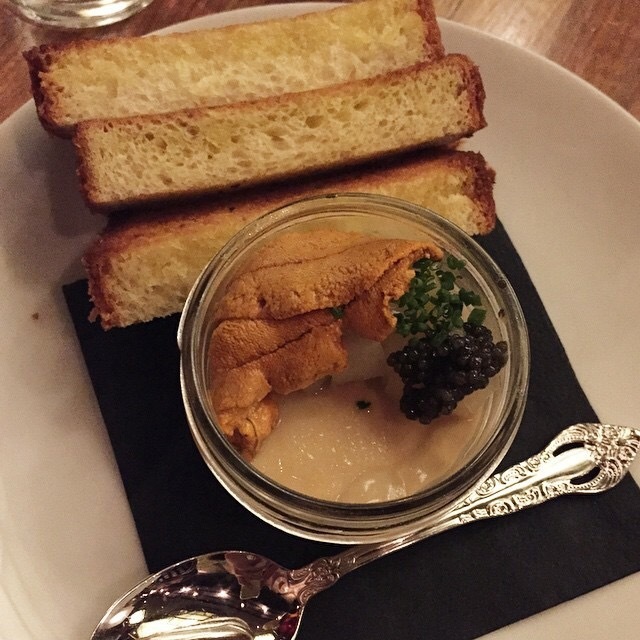 Good thing Chicago is filled with awesome foodie spots! Very good blog.